Automakers are realizing the days of the single touch point are gone. Car buyers are doing the bulk of their research online and making decisions about what model to buy even before they visit a dealership. 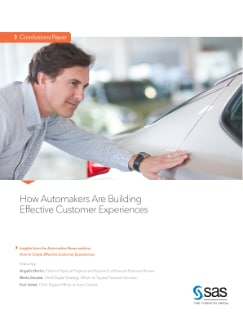 To win customers and build loyalty, automakers need to make the most out of every interaction. What matters most is the complete customer experience. And the key to managing that process and understanding the needs of each individual customer is marketing analytics.